National Pro Wrestling Day is this Sunday! Princess KimberLee & The Whisper will defend los Campeonatos de Parejas against the seasoned tag team of Cornelius Crummels & Sonny Defarge! After winning los campeonatos at "Let's Get Invisible" Kimberlee made it clear she does not want to be a member of this team. 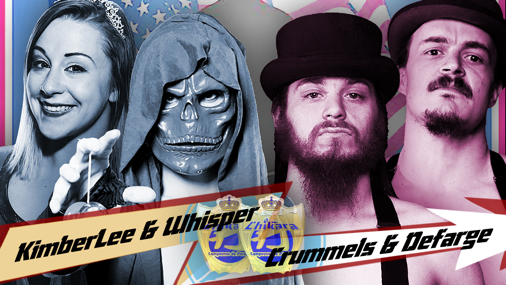 They will need to be on the same page when facing the dangerous duo in former campeonatos, Crummels & Defarge. Will good fortune strike twice for this unlikely duo come "National Pro Wrestling Day", or will the cohesive bonds of a tag team overcome a very loose alliance? 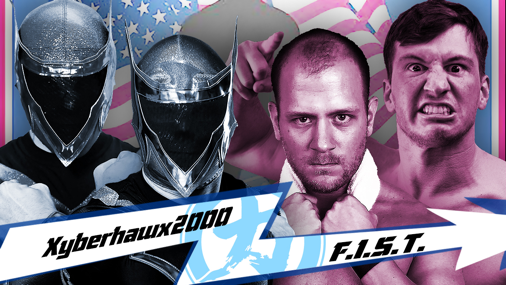 The Xyberhawx2000 will be facing F.I.S.T. in tag team action! Throughout Season 19, Razerhawk has tried his might in defeating the members of F.I.S.T., but one member, Travis Huckabee, has been able to walk away from each encounter with his head held high. At "National Pro Wrestling Day", Razerhawk recruits his Xyberhawx2000 teammate, Nytehawk, to aid in his efforts to thwart Travis and walk away with the final laugh! Penelope Ford takes on the living art exhibit in Still Life with Apricots and Pears in singles action. After being laid out by Blank and posed for his gallery, Penelope Ford has made it her personal mission to put an end to CHIKARA's art show. Blank has dispatched the masterpiece of the Nouveau Aesthetic, Still Life with Apricots and Pears, to handle his new artistic fascination. This Sunday we will watch as Penelope Ford looks to cancel any upcoming exhibits! "National Pro Wrestling Day" is our yearly celebration of our favorite sport! See all the details about the full card and this year's charity, the Arch Street Center!